Plant and cutting exchanges, which are popular in the Monterey Bay area, invite gardeners to bring plants or cuttings from their garden to swap for plants or cuttings offered by another gardener. These exchanges work because plants propagate naturally on their own: the gardener does not incur a significant cost, and still reaps the satisfaction of giving something of value to another gardener. Propagating plants for sharing require a significant investment of time: growing plants from seeds or cuttings and then giving them away could amount to a generous gift of the gardener’s time. However, opportunities exist for sharing plants with little effort. For example, if your daffodils or irises need dividing, you could very well end up with a surplus of bulbs or rhizomes that you could share. Another example: plants might self-propagate in your garden to the point that you have more than you want, and would prefer to reclaim the space for other plants. Plants have many ways to reproduce, and gardeners can support those natural processes successfully, and with both botanical creativity and economic efficiency in developing the garden and sharing with friends. 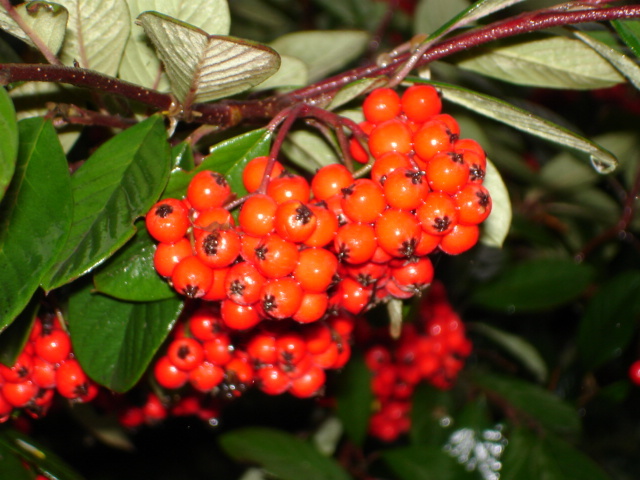 Cotoneasters produce seeds copiously, perhaps as an adaptation to the many birds that find them tasty. This specimen is C. lacteus, called Pareny’s Cotoneaster or Red Clusterberry. The name for the genus, native to China, is derived from ‘cotone’, an old Latin name for the quince plant, plus ‘aster,’ which means “resembling” indicating that this plant looks like a quince. 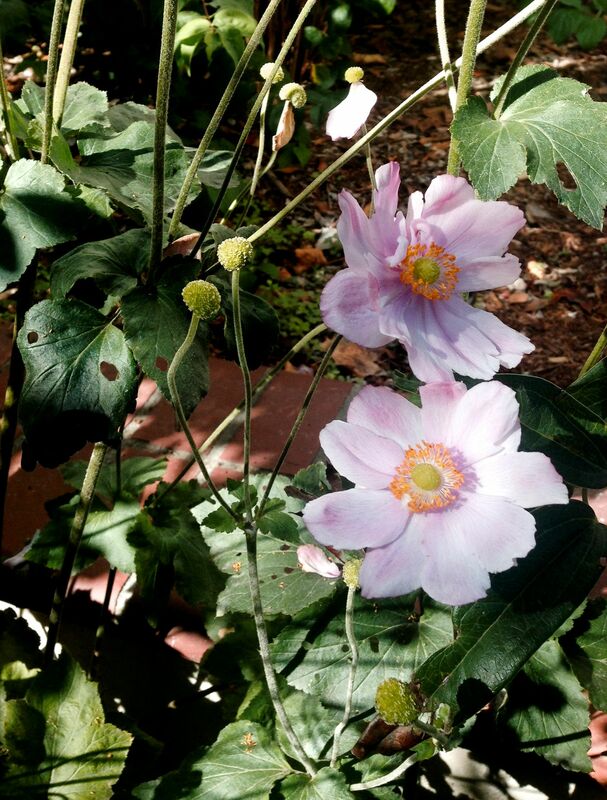 Japanese Anemone blossoms are fading about now. These plants are best propagated from root cuttings taken in the late fall or early winter. When we lifted them, we saw vigorous new white shoots on the roots, and knew that they would re-root quickly in a new environment. This plant produces beautiful pink or white blossoms, and grows so readily that it’s almost invasive. Another excellent resource is the North Carolina State University website (search for plant propagation). When drawing upon information from distant places, consider climate differences. This website has more detailed Articles and bulletins on propagation techniques. The fall season is a fine time to try propagating your favorite plants. This entry was posted in Essays 2014, Fall Quarter and tagged Propagation by tomkarwin. Bookmark the permalink.